Simple reality seamlessly blends with beautiful imagination. The result is a distinctive mélange of dynamic imagery that makes for an incredible collection of work, offering something for everyone in a delightful compendium of endless innovation. 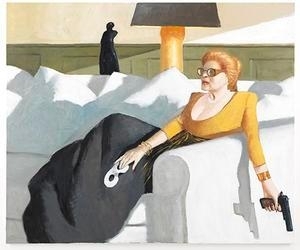 From seascapes, landscapes, and aerial views to still lifes, imaginary portraits, and other figurative works, the work of Julio Larraz takes us into a fantastic world brimming with an elegance, grace, wit, and charm. It is this distinction that makes Larraz one of the foremost Latin American painters of our time. Born in Havana in 1944, Larraz is the son of a newspaper editor and began drawing at an early age. In 1961, he and his family moved to the United Stated, first living in Miami, then Washington, D.C. and New York. Larraz cites a number of New York artists as influences, particularly that of Burt Silverman. 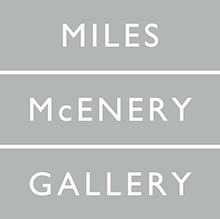 Larraz comes full circle as he returns to New York with his inaugural show at Ameringer | McEnery | Yohe Gallery, New York, on view October 15-November 14, 2015. Featuring fifteen paintings, the exhibition will showcase Larraz’s skills of handling light and shadow and enigmatic narratives embedded in his paintings. By interchanging reality and imagination, Larraz takes us on a wonderful ride filled with unexpected surprises and provocative enigmas. The pleasure of knowing without knowing, and always being somewhere in between is what engages our imagination to fill in the gaps and meet the artist in a new space, somewhere that is at once familiar and foreign yet oh-so-very inviting.